Subaru has confirmed pricing and specification for the all-new Levorg which goes on sale in the UK at the end of next month. Priced at £27,495 on-the-road, the new sport tourer model is described as the spiritual successor to the fourth-generation Legacy Tourer (2003-2008), and will be available in a single trim level called GT, fitted with All-Wheel Drive (AWD). 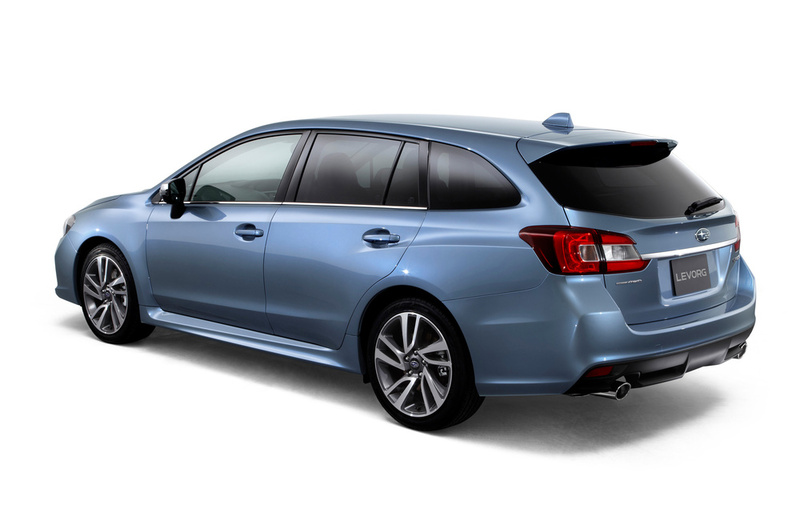 Subaru says the Levorg will offer a refined cabin, with a greater use of high quality materials. Leather-trimmed sports seats with blue stitching will come as standard, as will Subaru’s new factory-fit 7.0-inch touchscreen infotainment, connectivity and navigation system. Leather trim is used throughout the interior, including the door trims, on the centre console and on top of the multi-function display on the dashboard. Despite a smaller exterior footprint than the fourth-generation Legacy Tourer, Subaru claims the Levorg offers greater practicality with more leg, head- and shoulder-room and a 522-litre boot – rising to 1,446 litres with the rear seats folded down. 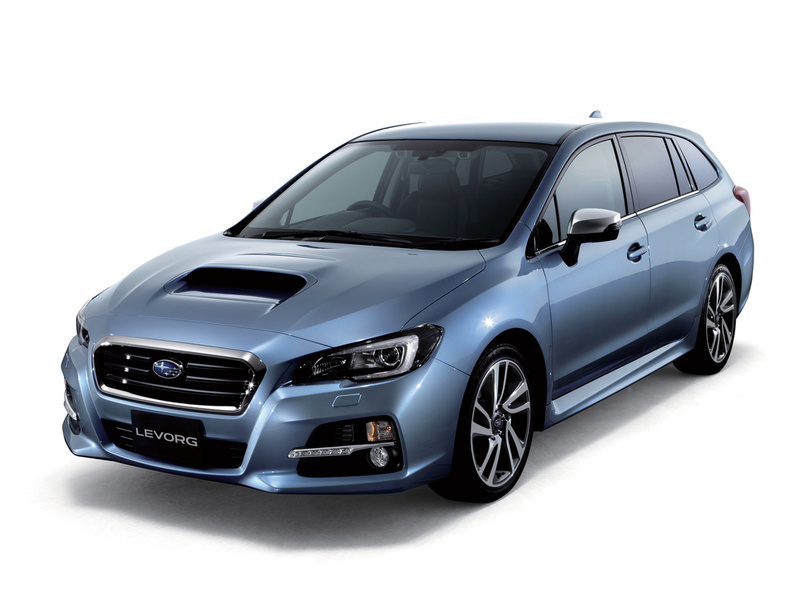 The Levorg will be available with one engine in the UK: a newly-developed 1.6-litre DIT (Direct Injection Turbo) Boxer petrol unit, paired with Subaru’s Lineartronic (CVT) transmission. The all-new four-cylinder engine offers the same performance as Subaru’s existing 2.5-litre naturally-aspirated Boxer engine, despite being 36% smaller. It produces 170 PS and 250 Nm torque which enables the Levorg to accelerate from 0 to 62 mph in 8.9 seconds, while returning nearly 40mpg on a combined cycle and CO2 emissions of 164g/km. The new Levorg boasts a higher proportion of ultra-high tensile steel than other models in the Subaru range for improved crash safety performance. It is equipped as standard with the new ‘Subaru Rear Vehicle Detection’ system (SRVD), which alerts drivers to vehicles which are crossing behind using a combination of three technologies: Blind Spot Detection, Lane Change Assist and Rear Cross Traffic Alert. 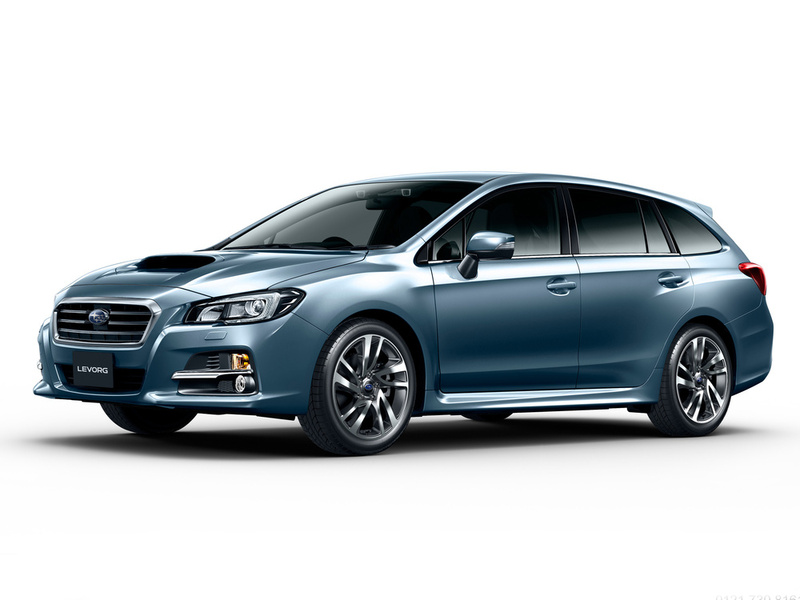 The Levorg joins the WRX STI and new Outback in being fitted with Active Torque Vectoring (ATV) which effectively brakes the inside wheels under cornering and apportions greater torque to the outside of the car, reducing understeer and oversteer for improved cornering stability. With a range of safety assist technology, as well as front, front side, curtain and driver knee airbags, whiplash-reducing front seats, and High Beam Assist, Subaru is expecting the Levorg to receive a five-star Euro NCAP safety rating when it is tested later this year. Standard equipment includes auto on-off LED headlamps, rain-sensing wipers, front and rear fog lamps, 18-inch alloy wheels, leather heated front sports seats, a 7-inch touchscreen infotainment and navigation, dual-zone air-conditioning and a rear parking camera. Full details of the Levorg will be announced closer to the car’s UK on-sale date in September.